Polaris Ranger UTV's are known as the power horses of the side by side industry, designed with excellent durability and resilience. However, like any machine there comes a time when your UTV's suspension parts, brakes or other critical components become worn or outdated and need to be replaced. 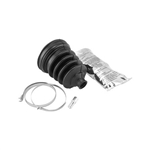 Change your old UTV parts with our selection of UTV suspension products and brakes for Polaris Ranger side by side vehicles. 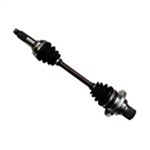 From Polaris Ranger ball joint kits to brakes and front axles, our selection of quality parts are sure to make your vehicle perform good as new! If you have any questions regarding aftermarket UTV parts or accessories please contact us today!